Parents are mobile. Their schools should be too. Parents are using their phones more than ever to do just about everything. So it just makes sense to put your school and parent group on the mobile phone as well. 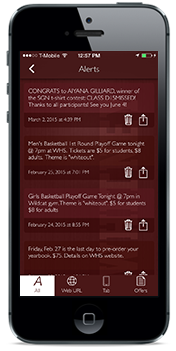 A custom, school mobile app will connect parents to your school, keeping them informed an engaged! School APPtitude makes mobile apps for schools because it the best way for schools and parent/teacher groups to increase their communication and effectiveness with their audience. Our school apps connect parents who are on the go while improving communication, parent engagement, volunteerism, fundraising efforts, and so much more! Get a school mobile app customized for your school to improve parent engagement and keep parents connected. Whether you need a time-sensitive blast or a gentle reminder of an upcoming event, Push Notifications get your message to parents FAST. Parents love staying connected to their school and our school apps are the best way! 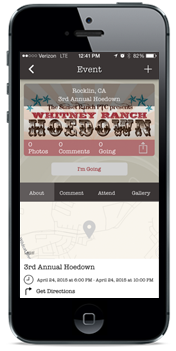 Post your calendar in the App so parents can plan ahead for event. We can integrate Google calendars, Outlook, really any calendar... Our school apps help you stay organized! Make sure the kids never go hungry simply because they forgot their lunch money that day. 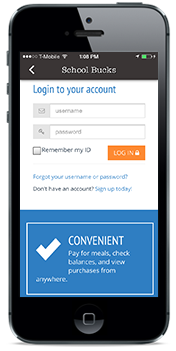 Our school apps show monthly food menus & and provide quick access to replenish your accounts right on your smartphone. Parent Group App Explainer from School APPtitude on Vimeo. "This app has made being connected to school activities and events so much easier!! I especially LOVE the push notifications! Now I feel that I won't miss as much information. Getting info through emails is more time consuming and easier to miss since much of the info comes from different sources"
I love it! I enjoy receiving alerts about school events and other information. Having the app makesschool information so accessible." I'm a relatively new WHS staff member. This app has helped me not only understand what's going on around the school, but how to help new students who need to find a class (map link) and quickly show the bell schedule. This app is empowering, convenient and very cool. A mobile app provides quick and easy information to all parents, right on the handheld they carry with them 24/7. One-touch access to all events, forms, notifications such as cancellations and more! 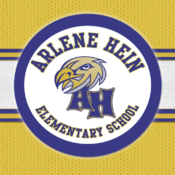 All of their school links and information are consolidated and easily accessible through an icon right on their smartphone. Parents love this simple yet effective way of connecting to their school! Schools and parent/teacher groups love this new way of connecting. They use Push Notifications to offer more information than they ever could before, and now faster than ever. The App gives them the ability and the opportunity to streamline their efforts, enabling them to sell more event tickets, more memberships, and more of everything in general. It revolutionizes the way schools are able to manage everything. Your sponsors will LOVE this opportunity! Parents now don't need to remember each individual sponsor or try to find papers or signs with their info....it's on their phone! One click and parents are connected...that can give your sponsors a much higher conversion rate and bigger bang for their buck! Every business that we've presented this opportunity to has pleaded for a coveted spot on this App!